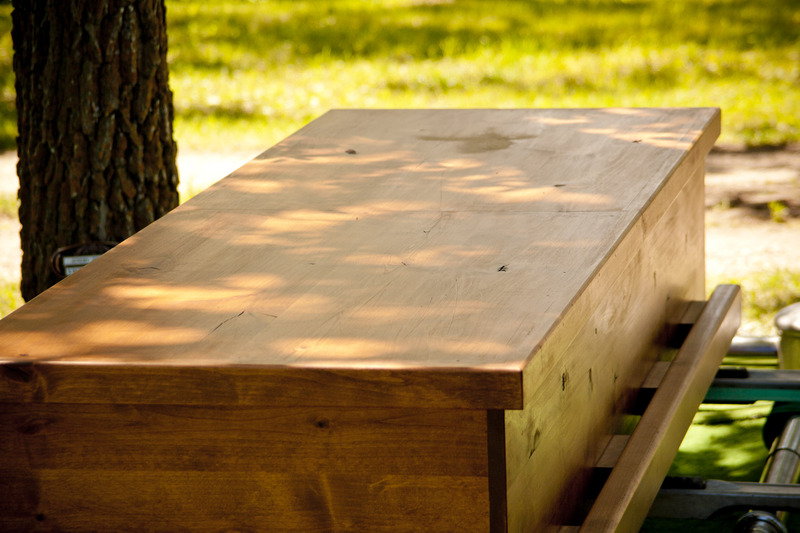 It was a year ago today we buried Jeremy’s body; the lowering of his casket into the grave was one of the darkest moments of my life. It’s a darkness that hasn’t lifted completely. In fact several times in the past few weeks the thought has crossed my mind of how badly I want to dig up that grave and breathe life back into his body. I want him back alive with me. I suppose there are several levels I’ll encounter when it comes to accepting Jeremy’s death–I think I’ve passed through many already. But it seems like every time I’m asked to encounter it at a deeper level, I always end up going back to that core desire: I want him/I can’t have him….let go of it (surrender). The darkness of the past several weeks has overshadowed the light much more often than many of the previous months. I think there are many reasons for this, nonetheless, my heart aches and feels like a mess most days (not all day long and not every day, but much more often than what’s been normal for me this past year). I know that I’m allowed this; I know that it’s grief and it’s to be expected and I will press on, but please be praying for my heart these days. And for the boys as well, as they’ve had their share of hard moments too. Almost daily again, Jo Isaac is in tears over Jeremy’s absence, stating things like: “Why did he die?…I need him or I’m going to break…I want him to tell me stories…Remember it was my turn for daddy to take me out? He took Aedan and then Eli and then it was my turn and he never got to take me…I don’t want daddy’s things, I want daddy…” And to hear my newly turned five-year-old tell me these things so often, when I need comfort as well, is a difficult thing for my heart to hold. So please pray for us. The sun will shine again (I’m sure of that). But we are just as much alive in the darkness and I want our hearts to bear this well. Crying out to the LORD (which we call lament) is good and necessary and ultimately deeply healing…but I’m weary. So pray for endurance and perseverance in these things. Somewhat in relation to this, the boys and I are packing up and taking a road trip to Estes Park, CO to be part of the Free Lutheran Youth (FLY) Convention. We’re leaving Saturday with Jeremy’s parents, so pray for safe travels, lots of fun to be had, good health, and for God to work out in our hearts – especially mine – all that needs working out. I’m deeply excited for the boys to see the mountains (and I need to see them again), to spend some much desired time with Buddy and Debbie, and to see good friends and a wonderful world of people at the convention. But I’m also speaking at an elective on discouragement and despair–attempting to shed some light on how we are to encounter seasons of darkness as followers of Jesus. Doesn’t it seem so fitting that I find myself in such a season right now? (God knows what He’s doing…) But if you pray for us over that week, pray for me and the sharing of that material. I’ve written it all out, but speaking it is an entirely different thing–how it will go, how it will feel, whether it will resonate–but pray that my words do resonate with the hearts of those listening in. Pray that I can speak clearly and with few (or no) tears (seriously…I want the words to be spoken, which is hard to do when there are tears). And pray for peace–because talking in front of a group of people is about the last thing that I like doing. So it looks as though I’m set up for success, doesn’t it? (j/k). I’ll be giving the session twice on the morning of Tuesday, July 2nd and twice again on Thursday, July 4th. Then Saturday (the 6th) I’ll be flying home solo while the boys and grandma and grandpa drive back. Your prayers over that entire week will mean much (thank you). 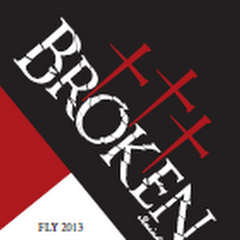 And the Lutheran Liturgy album…we’re still waiting. It’s supposed to be in our hands right now. We’re hoping/praying to get some hard copies by Friday. We’d really like to have them out at the convention. They’ll be up for sale on Jeremy’s site soon and ready to ship when I get back. I’ll keep you posted. 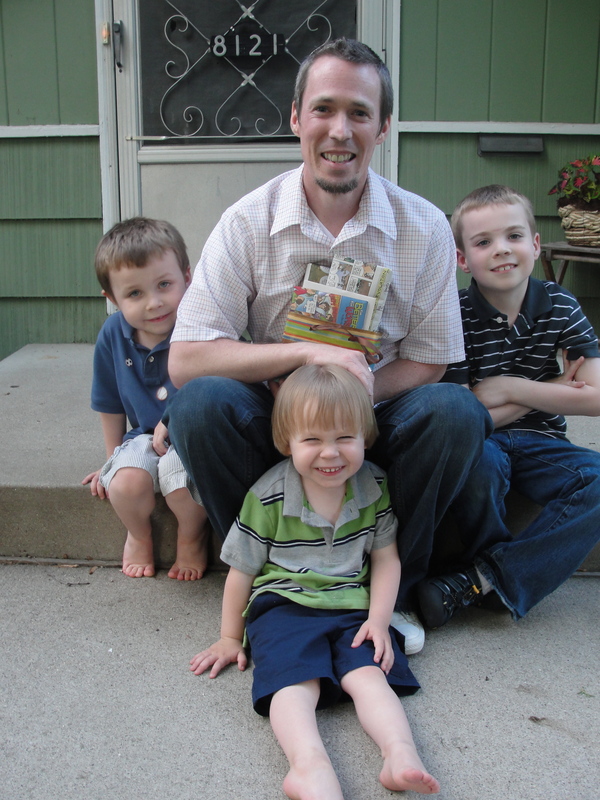 This picture was taken on Father’s Day 2011, which ended up being the last one we celebrated with Jeremy. Nevertheless, we still celebrate who Jeremy was to the boys almost every day (and that will continue for the rest of their lives). One grace that I think the boys may get to experience despite their sorrows, is that they will never question Jeremy’s love for them. That love is written all over the place – in their hearts, in their memories, and in his very own words. 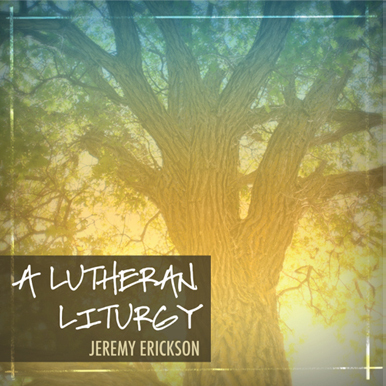 Besides the Lutheran Liturgy project, Jeremy had several other songs that he had recorded in the studio, one of them being a song he had written for the boys. I’m not able to share even the rough cut with you (because I’m not so technically savvy), but I’ll share the lyrics below. The boys remember Jeremy strumming his guitar many evenings, singing this song to them before bed. They know the words. And they still get a smile on their face when I play the recording for them, especially when it’s time for their verse. Jeremy believed that he’d be singing over them still, even after death. And we know that God, their Abba Father, is most definitely doing so. For the treasure that I have found, in you! For the joy that I have found, in you! Time felt so hollow those last 18 days that Jeremy was on the ventilator. There was no life in that room. I would sit beside him, listening to the hum of the machine. Sometimes I’d hold his hand, sometimes I’d talk to him. But eventually I began to run out of things to say; everything had already been said. And the silence with which my words were met made it even more difficult to speak at all. Jeremy offered a few hand squeezes when requested, but even those days passed and he became less alert to those simple instructions. So I began to ask the doctors to warn me–tell me when you have no hope that things will turn around. I don’t mind surprises when the intended outcome is delight, but when it comes to sorrow and suffering and difficult transitions–for the sake of my heart’s stability–I prefer some warning. It allows me the chance to brace myself for what’s ahead. I’m sure this act of “bracing” is probably me attempting to remain in control (of the situation, of my emotions, of my reactions). But I believe it is just as much for me to shoulder into Christ, to make sure I’m leaning into Him before the wave hits. Somehow I think this helps, that if I know what’s ahead maybe it’ll be easier, maybe I’ll know what to say or do. Those many silent days with Jeremy are like one long day in my mind. One final goodnight. One final goodbye. One final thank you, you made life so rich … I love you … I love you … I love you. I remember telling Jeremy once years ago that I wish there were more ways to say “I love you”, more phrases to convey the meaning behind those three words. I was afraid that phrase would lose it’s meaning for having said it so often. And it frustrated me in the hospital because I felt like I should have more to tell him. I love you sounded so trite, so simple, so empty when I was saying goodbye; I wanted that love to keep him alive, but instead it was letting him go. I saw Jeremy’s blue eyes one more time just a few days before he died. They had been closed for several days and as doctors were preparing to switch him to a higher-capacity ventilator he opened them, catching us all off guard. It was so unexpected. He was sedated and his body was paralyzed, so his eyes should not have opened. I don’t remember what I said to him in that moment but I remember his gaze didn’t meet mine. And just a day or two later, the warning came. I remember two doctors came into the room and pulled up chairs beside me. They told me I had 24 hours, at which point I’d have to decide whether or not to take him off the ventilator. But that decision had already been made. I knew Jeremy didn’t want to be kept alive when there was no hope for recovery, which is exactly what the doctors were telling me. His lungs were stiff, rock hard even; they said he may not even make it another day. In those moments, those two grown men weren’t doctors anymore–they were husbands and fathers of their own children and their eyes offered such kindness. With tears streaming down my face I asked them, how do I tell the boys? They asked how old they were. Eight, six and four. “There’s no easy way, we’re sorry. We’re really sorry”. The next 24 hours and beyond in my mind are an absolute blur. I drove home and brought Aedan and Eli to a nearby park. We climbed a small hill together and I told them of Jeremy’s prognosis. The three of us wept, so broken by what was to come. I went home and brought Jo Isaac out onto the front step and told him the same news (a four year old version). The nurses had said it would be better for me to get good sleep, so I spent that night at home. The next day, Sunday June 10th, I spent at the hospital. I brought the boys with, giving them one more opportunity to see Jeremy. Aedan stayed in the lobby, knowing what he would see if he walked into Jeremy’s room. He knew of Jeremy’s love for him, but to walk into that room and not see an awake and well daddy was something his heart couldn’t hold. I get that. Eli and Jo Isaac and I went up for just a couple minutes; they kissed his hand goodbye. Friends and family filtered through all day. There was no more need for people to “call ahead”, no more scheduling visitors. None of that mattered anymore. I went home late in the afternoon to get the boys settled, leaving Jeremy’s family with him. Not more than an hour later, I received a call from the hospital; Jeremy’s stats were dropping. I could hear the alarms from the machines sounding in the background. And as my sister drove me back in, I braced myself. I calmly made my way through the doors of the hospital, doors that I had been walking in and out of for forty days. But when I made it up to the last hallway, I ran. I threw myself into that room, leaned over Jeremy, and held his face in my hands one last time as I cried over his dying body. In that moment I had been so unbearably cast into the reality for which one can’t prepare. There is never enough time. There are never enough words. My heart could never reckon with it. And to say goodbye to him when nothing in me wanted to do so was nearly impossible. Soon after, our closest friends and family gathered in Jeremy’s room along with our pastor. A friend had come earlier in the day to play guitar for a couple of hours and it had felt so fitting, we invited him back to play during this hour as well. I honestly don’t remember much of the details of that final hour. I remember sitting beside his bed. I remember one of my hands rested on Jeremy’s chest. I remember feeling nothing at all–utterly shocked by my reality. The time had come. The machines weren’t going to be able to keep Jeremy alive much longer. Since we were all gathered, we decided to say our goodbyes and turn them off; it is better to grieve together. So scripture was read, prayers were prayed, songs were sung. And while I knew it was time and what he wanted, I didn’t want to say the words “we’re ready” when I didn’t mean them at all. I remember thinking, “God, this is the last moment that You could heal him and let me keep him. We can turn off these machines and he can breath. You can do that”. We weren’t giving up hope or faith that healing was a possibility. We were saying “Thy will be done” as we’d always said and sung. Though it’s difficult to discern what is and isn’t God’s will I can, and will, always say that God works in and through all things. So the nurse turned off the machines and it was really silent. He had almost no breath. And it was over. There was a storm that went through the cities that night, thunder and lightening high above, rain pouring down. Though I typically enjoy such a show in the sky, I had hardly noticed it. Maybe it was because it was so similar to what I felt inside. The storm that stirred within left me reeling, unsure of where land was. It felt like the whole world was breaking. That evening I received a message from someone watching the storm saying, “the sky’s opened up and Jer conducted his first musical rendition for all to hear”. I can see why she said that. There was an element that night of what glory he must have been beholding. Months later another friend wrote a letter recalling the storm as well, telling of how he felt it was true to the way God laments. God had been weeping, acknowledging that death hurts, that it’s wrong, that this was not His intention when He made the world. And I can see why he said that. If it’s right to give a thunderstorm such meaning, I’d say both perspectives could be fitting. It’s been a year now (just about). And I still brace myself as I journey through the landscape of grief and other areas of life. This past week–just like last year– I found myself unprepared, surprised still by how great the sorrow can be. I was caught off guard by the fact that there are still days when I have to force myself to swallow (both figuratively and literally). With the shock gone, there’s more to feel, both joys and sorrows. So I pray–and would you pray with me–that I would still shoulder into Christ, that I would brace myself upon His strength. The landscape changes all the time around here and for possibly the first time since Jeremy’s death I woke up this week and thought, I don’t really want to get out of bed. I don’t want to feel this grief anymore. I don’t want to recall the memories, even the good ones. I don’t want to experience the newness of life, as it is now. It’s so difficult to think of the future, when what would be ideal isn’t possible. I just want to go back to one of our best days and live there. But I get up out of bed (eventually), stomach some food, smile at the boys and get on with the day as best as I can. And I remind myself (or others remind me), it’s okay to feel broken. It’s okay to be broken. It’s okay. The thing is, I don’t want to be broken. I want to be well. I want everything to be right. So I live with that tension, sometimes leaning into wellness and sometimes leaning into brokenness – kinda like a ship rolling over the waves.